Complement your event with rental of the HSA Café. From corporate luncheons to parties, rehearsals to performances, the 800-square foot snack bar provides ample space with use of a refrigerator and microwave oven for your catering needs. 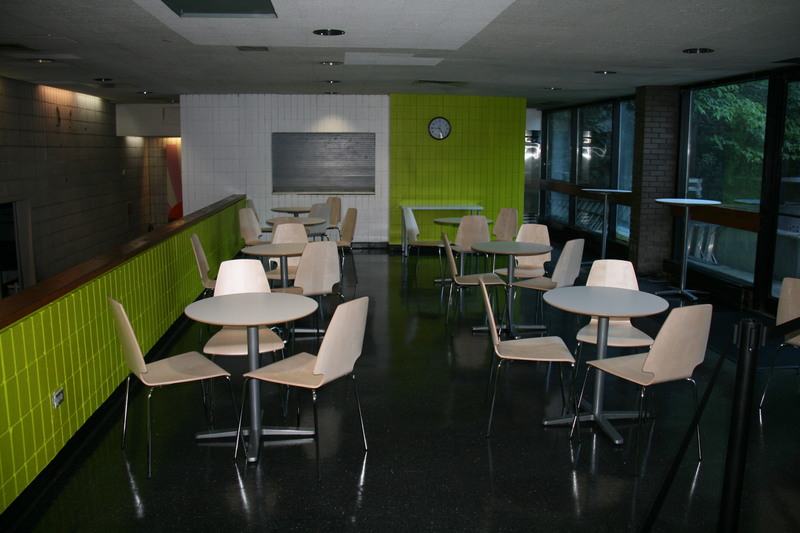 Illuminated by the adjacent courtyard, tables and vending machines are available. During mild weather, guests can enjoy direct access from the café into the courtyard. Accommodates up to 35 people. 6’ tables and optional chairs (not pictured) available.